When the Republicans are calling for a Democratic governor to step down from his office because of a racist photo, something must be horrific and shocking. 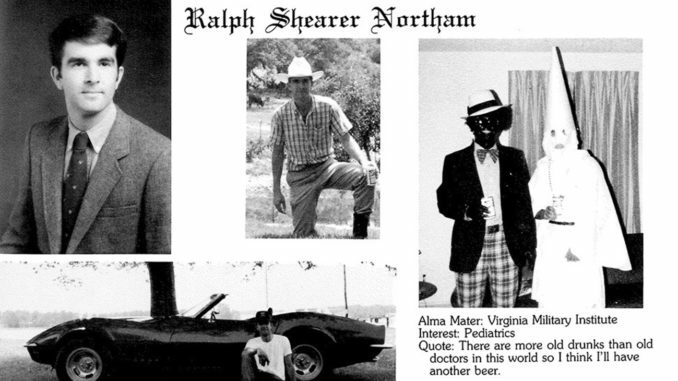 Virginia Governor Ralph Northam, during Black History month (February 2nd, 2019), acknowledged that a photo in his 1984 Eastern Virginia Medical College yearbook was him dressed in a KKK robe and hood or blackface. Most Americans of any race or culture would consider this offensive, and someone must be held accountable for this breach of trust. Many would expect anyone connected in any way to this despicable display of sickness would automatically resign from office. But in the state of Virginia, they must operate on a different set of principles. Even though Senator Kaine acknowledged that this act was despicable and horrible, he did not ask the governor to resign. He and his fellow senator of the state of Virginia, Senator Mark Warner, released statements that called for the governor to listen to the people, and consider the communities he hurt. It is obvious that the community that this picture impacted the most was the Black community, and the Black community leadership was very vocal, and they expect the governor to resign. This is not a situation that the Black press will allow to be swept under the rug, and there is no excuse that can be made to justify this behavior from the governor. The subject of racism is very difficult to discuss in 2019, and it appears that our president has gotten away with many derogatory racist statements. When President Trump continues to get away with calling Mexicans and Latinos people with problems, drug dealers, criminals, or rapists, he creates division in the country. By continuing to demonize a race and people of color in America, these ridiculous statements from the White House get Trump supporters to believe these lies. When racism is uncovered or exposed by anyone a change must take place. The NAACP’s president and CEO, Derrick Johnson, immediately called for Governor Northam to resign on the day the event was exposed. The list [calling for the Governor’s resignation] continues to grow in the state and the [state’s] two senators have joined the Virginia Congressional Delegation, led by Rep. Bobby Scott, who believes the governor cannot effectively serve in his position with this cloud hanging over his record. On the next day, which was Saturday, Governor Northam changed his statement and denied being in the medical school yearbook photo but admitted to wearing Blackface while dressing up like Michael Jackson at a dance contest. At the time of the writing of the article, the governor has vowed to remain in office despite widespread calls for his resignation. As the list calling for the governor’s resignation continues to grow, it makes no sense for him to continue to fight for his political career. The Virginia Legislative Black Caucus, Eric Holder, Tom Perez, Hillary Clinton, Rev. Jessie Jackson, Joe Biden, every Democratic presidential candidate running for office, U.S. Rep. Karen Bass, (Chairwoman of the Congressional Black Caucus), and singer John Legend, have all called for his resignation. The governor can apologize, but the damage was done decades ago, and everyday he is a reminder of bigotry, racism and White Supremacy. He has created a crisis in the Democratic Party in Virginia and the country, and it cannot be resolved without his resignation. Pass the baton to the Lt. 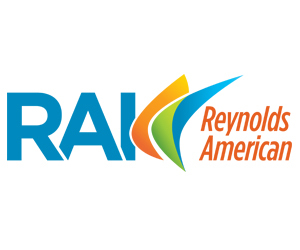 Governor, Justin Fairfax, a Black man, and the Virginia Democratic Party can move forward with no regrets, and a breath of fresh air. 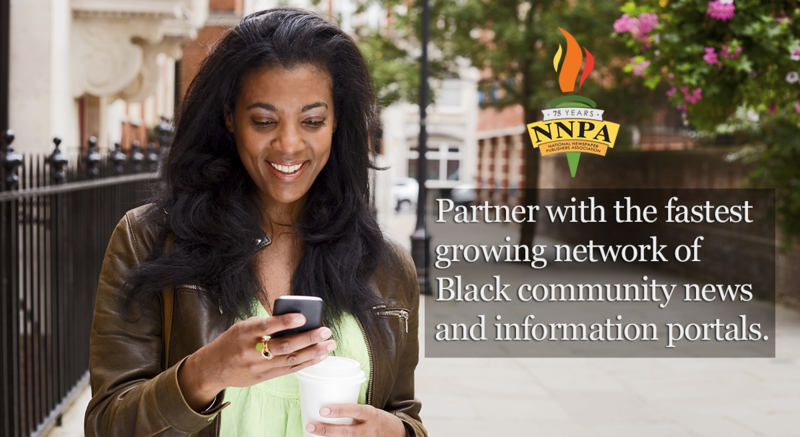 Disclaimer: The views and opinions expressed in this article do not necessarily reflect the official policy or position of BlackPressUSA.com or the National Newspaper Publishers Association. Ferguson Makes a Reappearance at the Grammys. Here’s Why it Matters.